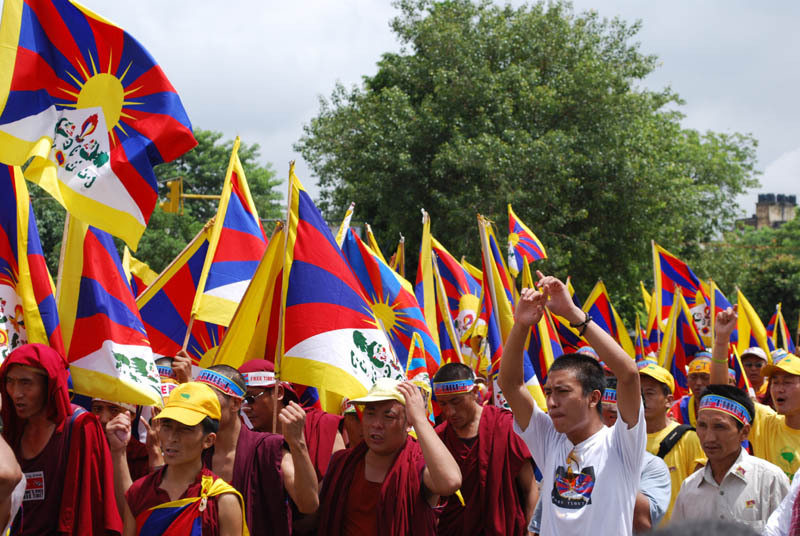 ‘Trouble in Tibet’ forces Tibetans to make hard choices. For this ‘Trouble’ is due to military occupation, Tibetans express sense of resentment to resist occupation as best as possible. Exiled Tibetan Community in India is mourning the loss of a teenager who sacrificed his life to oppose Occupation. 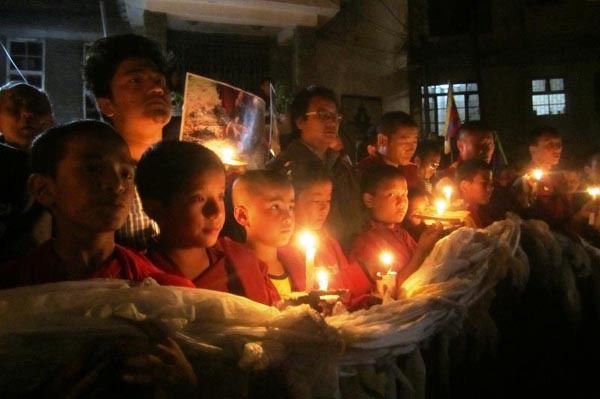 A swarm of saddened Tibetans on Sunday paid homage to Dorjee Tsering — the 16-year-old Tibetan boy, who immolated self at Herbertpur near Dehradun on February 29 — who was cremated as per Buddhist rites on Sunday. All roads leading to McLeodganj were choked by Tibetans, who assembled to pay homage to the Class-10 student of Tibetan Homes Foundation School, Mussoorie, at Lha Gyari temple. Dorjee’s mortal remains were brought from Safdarjung Hospital in Delhi to Dharamshala on Saturday. The coffin was placed at Tibetan Youth Congress (TYC) office and was then shifted to Lha Gyari temple near Dalai Lama’s palace on Sunday morning, where Tibetans of all ages, including schoolchildren, monks, nuns and officials of Central Tibetan Administration, participated in a prayer session. People cried as Dorjee’s coffin was brought to the temple courtyard. The body was taken to cremation ground in a procession attended by large number of Tibetans. Dorjee was cremated as per Buddhist rites, in presence of family members. The teenager hailed from Manali and was the youngest among five siblings. He set himself on fire in protest against the Chinese rule over Tibet on February 29 and died on March 3. “The reason I resort to burning myself like a choemey (butter lamp) is because Tibet was occupied by China since 1959 and I have always felt like I needed to do something for the Tibetan cause. Yesterday, I felt as if burning myself up was the only resort left,” he said in a video testimony a day before his death in the hospital. He clearly committed the act for Tibet’s independence and to garner global attention to the Tibet issue, said Dorjee’s father Thupten Tashi. Recounting the horrific incident, Dorjee’s mother Nyima Yangkyi said he was shivering and asked for water. “My child’s skin was dripping-off his body but he did not shriek in pain even once. He said he did it for Tibet,” Nyima said. Dorjee’s elder sister Samden Dolma said the family never knew about his intention, though her younger brother always talked about doing something for Tibet. “Though he took a wrong path, we are proud of his courage and sacrifice,” said Dolma as she tried to hold her tears. Dolma said, “I want to urge the youngsters not to take such step as there are others ways to serve Tibet.